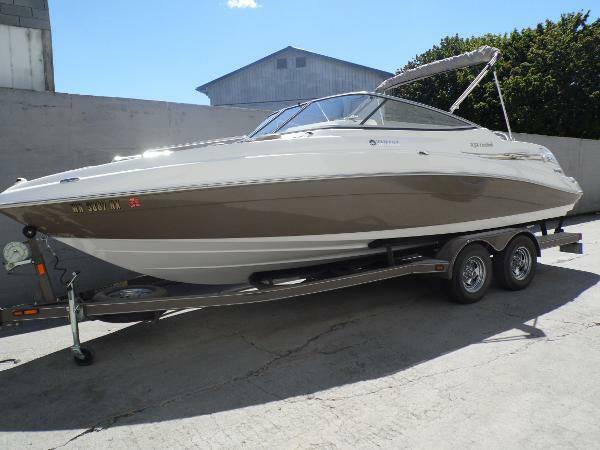 2009 Yamaha 232 Limited 2009 Yamaha 232 Limited. Very clean. No damage. Ready to use. Only 175 hours. 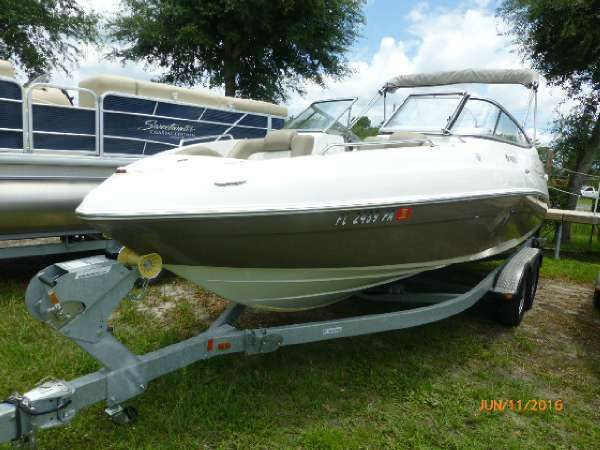 Has a Marine Radio Fusion MS-IP600 and Kicker speakers and Amplifier $1,500 on sound system alone. 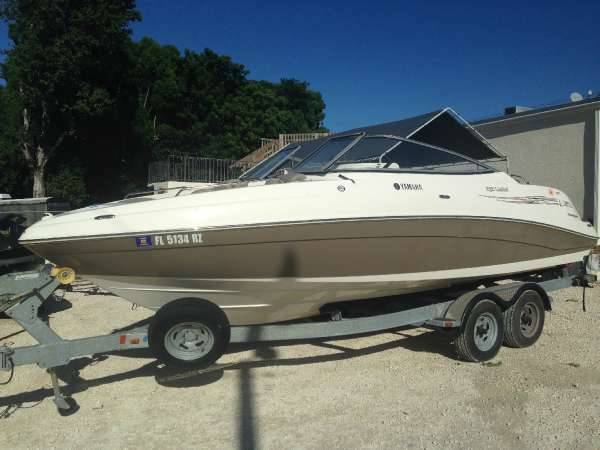 The boat is in very good condition plus trailer included. Any questions reach me at 305-219-2234. 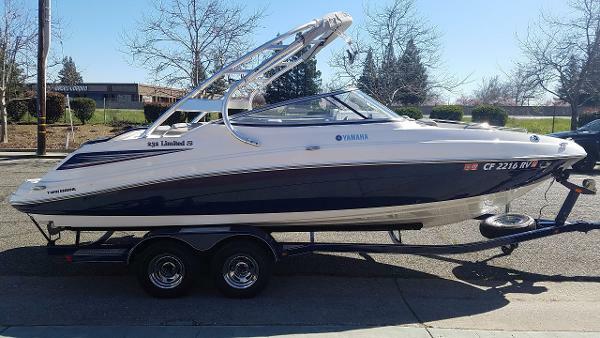 2009 Yamaha 232 Limited S We are offering a gorgeous meticulously maintained original owner 2009 Yamaha 232 Limited S. This 'as new" freshwater boat has been kept in covered storage since new and serviced annually. We have an excel spreadsheet of all the service performed since purchase. This boat is a rare find. 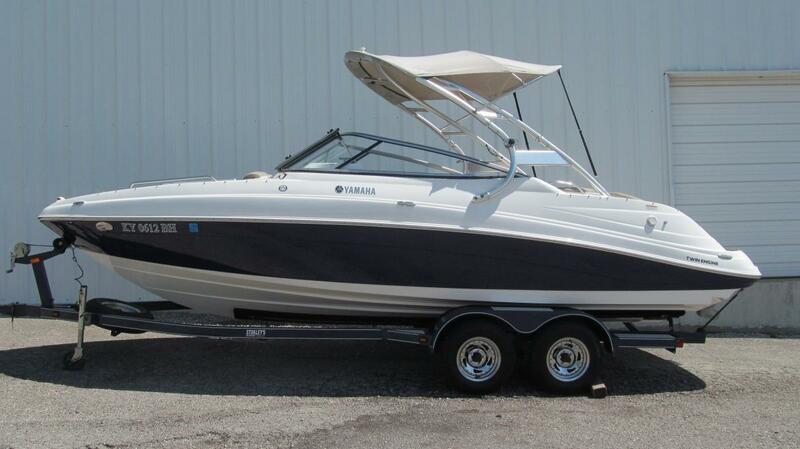 In 2009 the Yamaha 230 series was the #1 best seller of all fiberglass boats in its class. 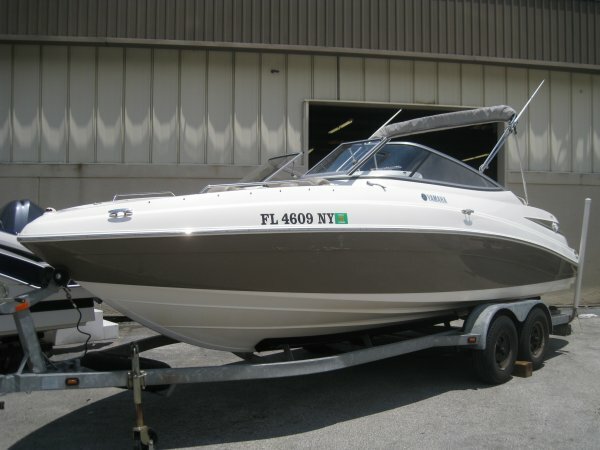 Prepare yourself for one of the most rewarding boating experiences on the water. 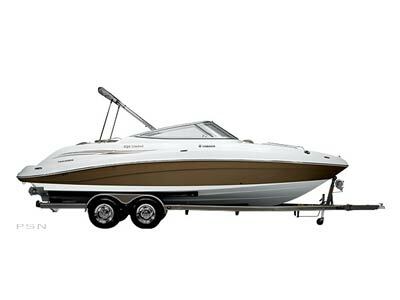 Thrilling performance, innovation unseen in other boats and extreme versatility are just a few of the many attributes she has to offer. Grab the twin throttles push them forward and an amazing thing will happen. A smile, a big one, from ear to ear. After all isn't that what boating is all about although it's hard to find in some boats. Drawing as little as 16" of water go explore hard to get to spots where no other boat can go...why not? What an amazing and unique cockpit design featuring a tiered U-shaped padded rear facing seating area on the transom with an integrated table base. Relax & enjoy what your favorite lake has to offer as the day passes by. 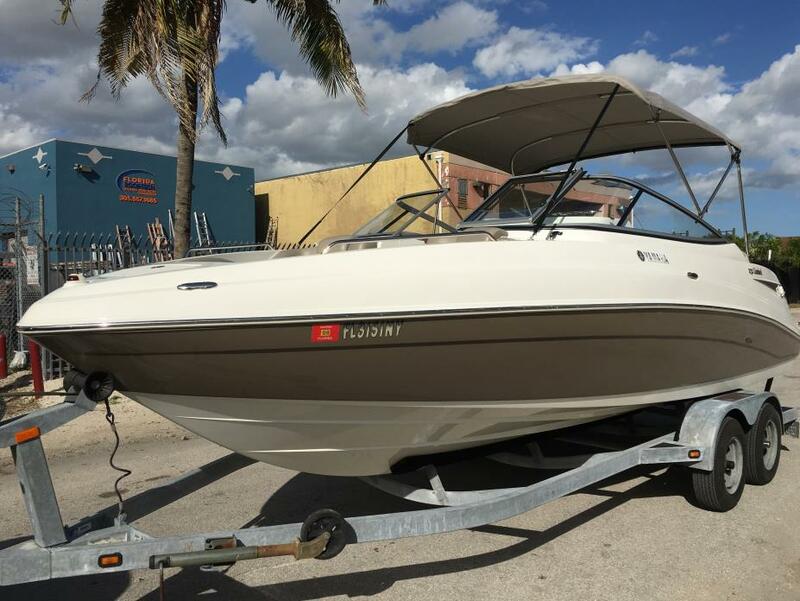 Offering a center walk thru transom, attractive U-shaped seating and a port side lounge you will experience pure comfort & joy in the cockpit. 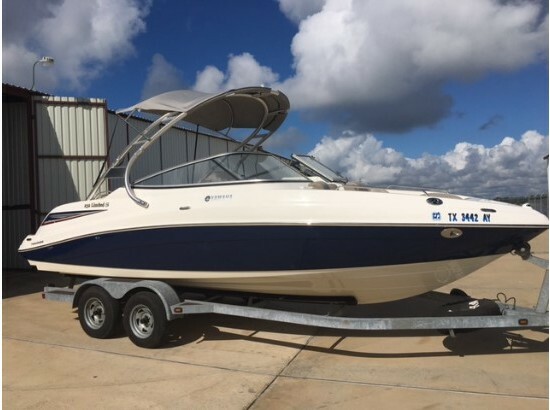 Other features & equipment include; Twin Yamaha 160 hp 4-Stroke engines W/227 hrs, Factory forward facing arch W/speakers & lighting, board & ski rack, tower mirror bracket, Perfect Pass speed control, bimini top, custom mooring cover (2 yrs old), Sony CD sound system W Kicker bow & cockpit speakers, transom stereo remote, oversize rear platform W/rear facing seats, table base & non skid, platform storage trunk, transom shower, cockpit & platform dinette table, fiberglass liner W.snap out Berber carpet, walk thru filler cushion, bow filler cushion, bow center drop in seat back, wood grain dash accents, depth finder, tilt wheel, dual batteries W/switch, port enclosed changing room, stainless steel package including (6-pull up cleats, rub rail, cup holders, grab rails & windshield supports), drivers bucket W/flip bolster & tandem axle trailer W/brakes & spare tire. 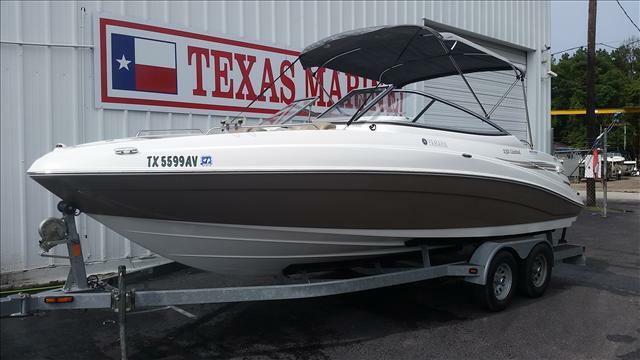 2008 Yamaha 232 Limited 160HP X2 Twin Yamaha High Output 20-Valve Fuel injection Engines, Depth Sounder, Sony AM/FM/CD W/ Remote, Cockpit Speakers, Transom Stereo Controls, Bow filler cushion, Cockpit table. 2008 EZ Loader Tandem Axel Trailer. 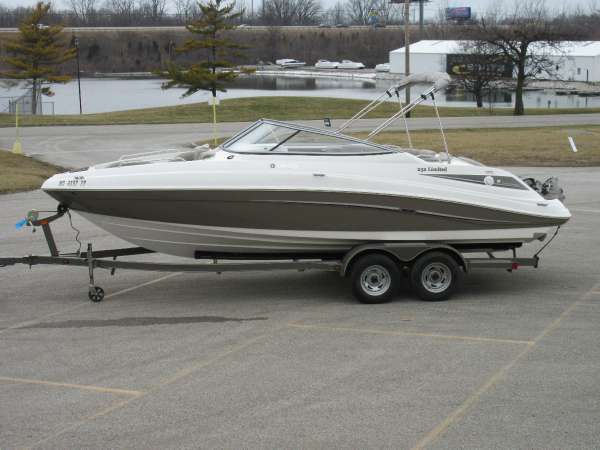 2009 Yamaha 232 Limited S. Rigged with Twin 160's and includes a Loadrite Tandem Axel Aluminum Trailer. Wake tower with Speakers. Loaded! Built to take luxury to new heights. 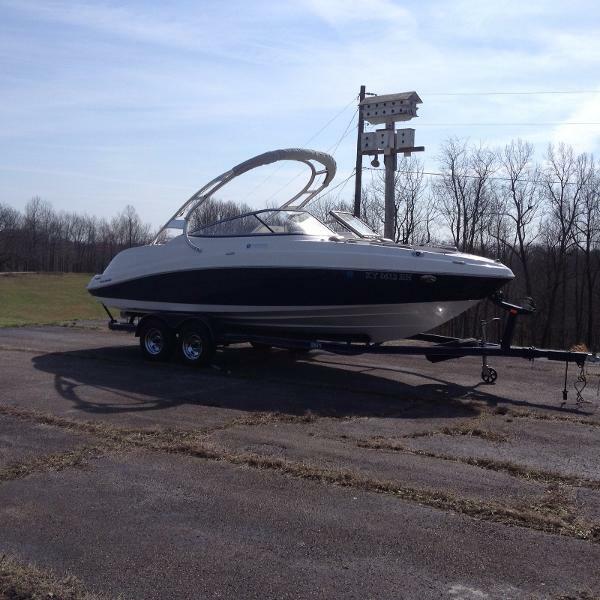 Designed to bring you closer to the water. 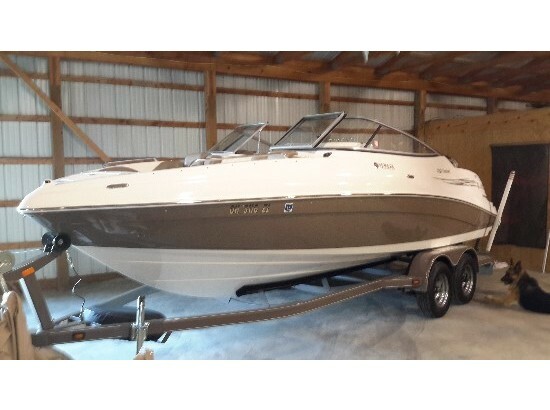 Towering over all others, the new 232 Limited S is bred to elevate comfort, style and luxury. With dramatic lines and dynamic twin high output Yamaha marine engines, the 232 Limited S promise extraordinary performance - even when standing still. Its forward-swept tower is both an artful expression and a functional design that gracefully bridges the gap between pure sport and utter luxury. 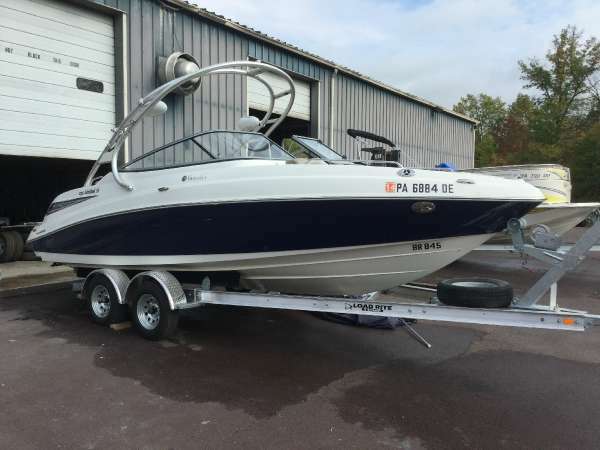 - 2009 Yamaha 232 Limited S. Twin Engines. 320 HP. Loadrite Trailer.